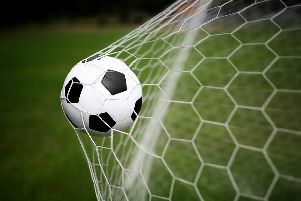 East Dean continued their perfect start to the West Sussex League Championship south season with a 4-2 win against Newtown Villa reserves in a six-goal thriller. There was only one change to the team as Ben Pett came in for Kieran Manchip. East Dean started brightly with the opening goal coming in the second minute, scored by Zack Dray as he latched on to a through-ball from James Ford. Ford doubled East Dean’s lead when Pett set him up. Villa pulled one back before half-time as they capitalised from a mistake. Even though the Dean were leading at the break, manager Pete Kearvall still wanted to improve in the final third. Ford got his second of the afternoon, but Villa pulled another one back as they netted from the spot to make it 3-2. East Dean wrapped it up with a penalty. Ford won it and scored it to complete his hat-trick. East Dean are top of the table on goal difference. MoM was Reed. East Dean: Philpott, Reed, Clark, Manchip, Pett, Richards, Knight, Oram, Shewell, Ford, Dray. Subs: Dunne, Nicholson, O’Donnell, Hand, Scott. Elsewhere in the West Sussex League, it’s been a mixed start to the season for Nyetimber Pirates, the reigning champions, and Lavant in the premier division. Pirates began with a surprise 8-0 hammering away to Angmering Seniors, but got back on track with a 6-2 win at Rogate 08. Michael Frangou led the way with a hat-trick. It’s been a similar story for Lavant. They kicked off with a 3-0 defeat at Newtown Villa but recovered to record a 7-2 home win over Wisborough Green last weekend. Lavant and the Pirates have also met to play for the Walter Rossiter Trophy. Lavant won 3-2. Meanwhile, the Pirates seconds are the early leaders of division two south.